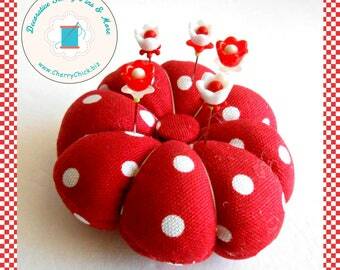 New polka pincushion with decorative sewing pins available in the shop. A little red, white, and blue inspiration today. New buttons! 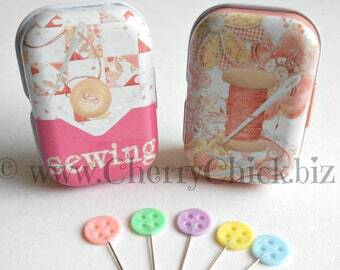 Ashdown Rose wrist pincushion with sewing pins back in stock in the shop. 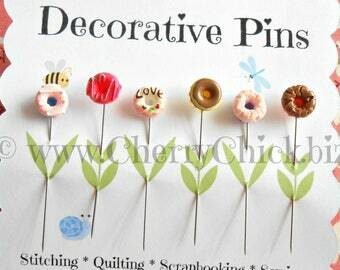 New Heart flower sewing pins now in the shop. 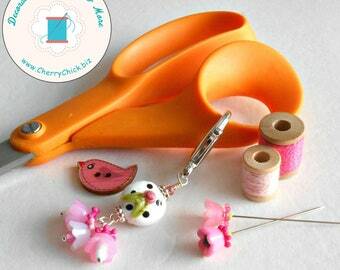 "Cupcake" is the newest addition to the unicorn needle minders available in the shop. Vintage Mary Engelbreit Scottie dog chair pincushion with decorative sewing pins now available. 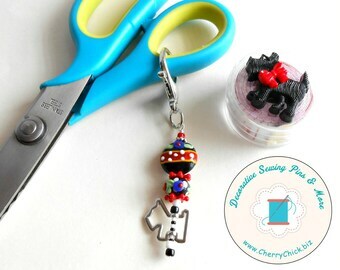 This cute little ladybug measuring tape is just one of several that have been restocked today. Whimsical Biscornu pincushion hand cross stitched using a Mary Engelbreit pattern. There is a choice of two pin sets to select from. 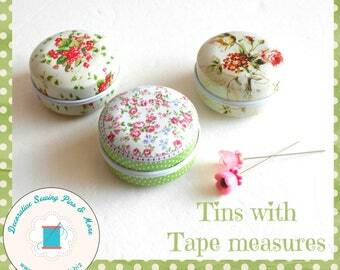 Sewing tape measures in floral cases have been restocked today! 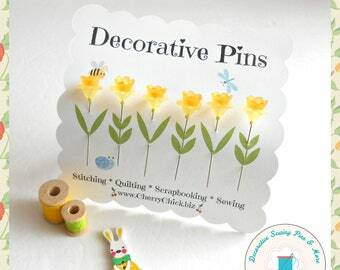 New color combination available now on these cute floral sewing pins.